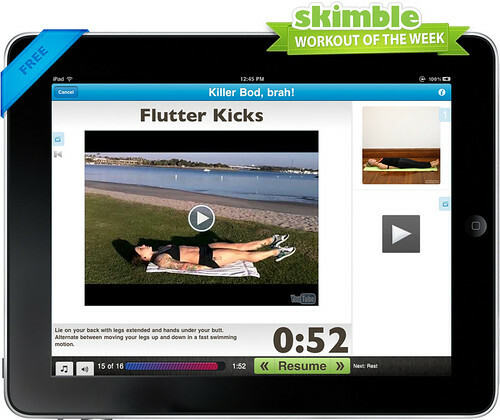 New/free Skimble Workout of the Week: The Killer Bod, Brah! It’s summer time and the surf boards have been dusted off. Now it’s time to make sure you’re surf ready! Whether you’re a serious surfer or just want a surfer’s bod, you’re in for it with this workout. Challenge your core, upper & lower body with this series of exercises. While you sweat it out, think of warm beaches, hot bods and cool summer breezes and you’ll be done in no time! From paws-up posers, social surfers to chossy champs, get inspired to rock that killer bod! 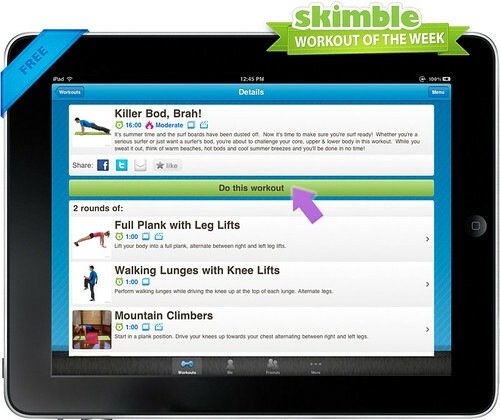 This entry was tagged exercise, skimble, surfer, surfing, workout, workoutoftheweek, wow. Bookmark the permalink.